Nov. 6 (NBD) – China will launch a technology innovation board and experiment with registration-based system for initial public offering (IPO) in Shanghai Stock Exchange (SSE), Chinese President Xi Jinping announced on Monday at the opening of the first China International Import Expo (CIIE) in Shanghai. 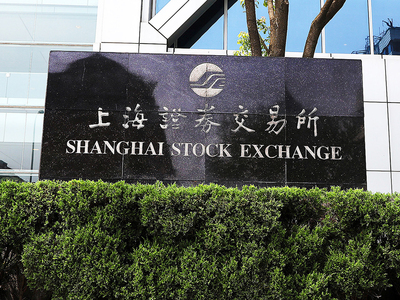 Shortly after the announcement, China Securities Regulatory Commission (CSRC) released an article, stating that the new listing venue aims to improve the stock market's inclusiveness and adaptability to technology innovative enterprises with more suitable and differentiated arrangements. For years, many Chinese innovative start-ups failed to reach profitability and shareholding structure requirements set by regulatory bodies, thus they have to seek funding overseas. According to Yang Delong, chief economist of First Seafront Fund, the new board, which is comparable to ChiNext of the Shenzhen Stock Exchange, will open the new door for IPOs of technology innovative enterprises in Chinese stock market. It is noted that the IPO requirements of ChiNext are lower than those of the main boards, in terms of net profit and sum of share capital. The trial of registration-based system is even more noteworthy, which will make the technology innovation board a real Chinese version of Nasdaq, said Zhu Zhenxin, chief researcher with Rushi Financial Research Institute. China's stock market is currently running on an approval-based system, under which stock offerings need to not only fully disclose authentic information, but also meet requirements set by authorities, often resulting in a long queue of companies waiting for approval, according to Caixin Global. Registration-based system, however, only requires applicants to submit disclosed information related to listings to authorities, thus can speed up the IPO process and give the stock market more say in the offerings. The registration-based system has already been authorized by the Standing Committee of National People's Congress in December 2015, and the implementation in the new board is seen as a tentative step for the wider stock markets. Though specific timing and policies are yet to be disclosed, CSRC and SSE pledge to hasten the formulation of rules and arrangements for the technology innovation board, in accordance with related laws and regulations and learning from successful experience of foreign markets. Analysts agree that the new board and system will bring institutional benefits to China's stock market in the long run. Currently, many tech giants like the BAT trio (Baidu, Alibaba and Tencent) or Xiaomi are listed in overseas markets. Now with lower threshold and less time to be brought by the new policies, China might retain unicorns like ByteDance, which operates content app Jinri Toutiao, in domestic market, said Zhu Zhenxin. The more market-wise mechanism can intensify competitions and help incubate new industry giants, said Zhu Junchun, chief strategist of Lianxun Securities.